Dr. Roman is currently a full time faculty member and Department Chair for both masters and doctoral level students in the Business Psychology Department at The Chicago School of Professional Psychology in Washington, D.C.
Dr. Roman has been a practicing professional in industrial organization and business psychology practices for over two decades, serving at the Senior Executive Service level in the Federal government, as a military officer in the U.S. Navy and leading her own Executive Coaching practice specializing in leadership transitions. Dr. Roman has previously served as the Chief of Staff in a large DoD organization, the Deputy Associate Director in the Office of Personnel Management's Human Resources Services and as a senior internal consultant on numerous organization interventions focused on building high performing organizations. 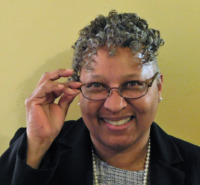 Dr. Roman holds her doctorate degree in Industrial/Organization Psychology from Walden University; a Master's degree in Resourcing the National Security Strategy from the National Defense University, a Master's degree in Public Administration from Central Michigan University and a Bachelor of Science in Psychology from Howard University.